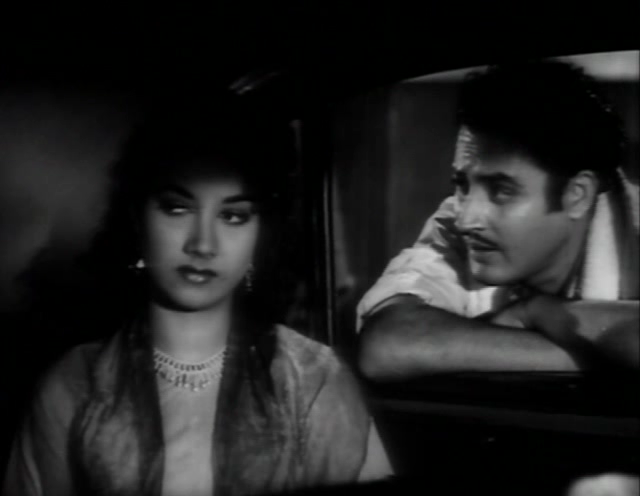 Kalu (Guru Dutt), a taxi driver who was sentenced to prison for speeding, is released two months before his term for good behaviour. His old employer refuses to let him drive his taxi again. Wandering the streets, Kalu helps a young woman Nikki (Shyama) to fix her car. Kalu goes home but his brother-in-law will not have a convict in the house so he finds himself on the streets. Kalu visits a club to deliver a message for Captain on behalf of a former jail mate. He gets a job at Nikki’s father’s garage and love blossoms between Nikki and him. When her father finds out, he kicks Kalu out. Kalu asks Nikki to elope with him but she hesitates and by the time she decides to do so, he has already left. 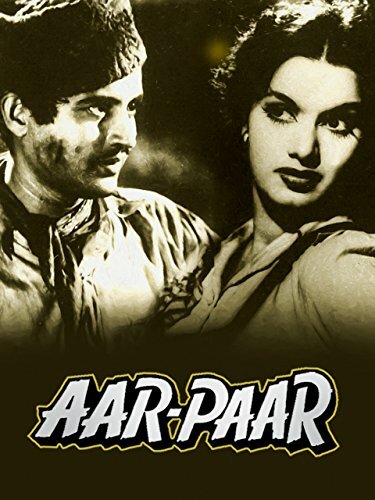 Kalu returns to the club and takes up a job with Captain and his band of crooks which includes a dancer (Shakila) and a Parsi barman, Rustom (Johnny Walker). Captain is planning a Bank robbery and thinks Kalu would be useful in driving the getaway car. The cabaret dancer takes a fancy to Kalu but sees he loves Nikki. She seeks revenge and persuades Captain to have Nikki kidnapped. With Rustom’s help, Kalu manages to rescue Nikki and have the gang caught. He is a true hero and Nikki’s father gladly agrees to their marriage. 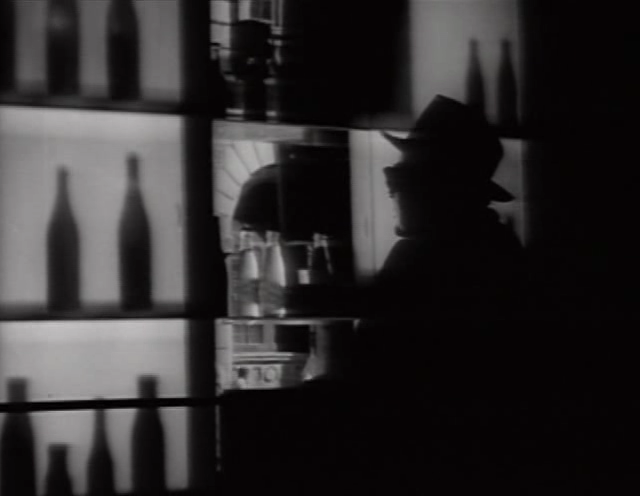 Taking a further cue out of film noir, the city is very much a character in Aar Paar. 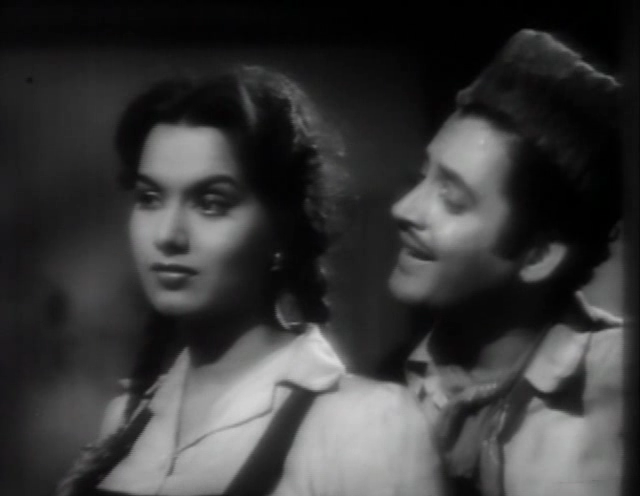 Much shooting was done on actual outdoor locations of Bombay rather than confining oneself to the studios. In fact even the garage where the hero worked was shot on location at the South Indian Garage in Parel, a locality of Bombay. Last but not least, mention must be made of a wonderfully staged sequence in the film wherein it looks like a major gang operation is on only to be revealed at the end of it that it was just a test run! Truly zany!